HOW has 2017 been for the Malaysian real estate industry? The answer would vary, depending on which side of the spectrum you are on. For developers, the past 12 months would have been like mitigating floodwaters, with splashes of dampening news, among which is the record-high volume of residential properties still without buyers, leading to a halt on luxury property development approvals in the country. On the other hand, buyers — or the potential ones — seem to get the better side of the bargain, with Budget 2018 focusing on their needs for affordable housing and the private sector introducing innovative sales packages and products to aid property ownership. If you have missed out on some of these real estate news-of-the-year and other must-knows, here are the top seven industry developments that will supply you with enough fodder for a peppy conversation during your year-end or new-year gatherings. After five years, from planning to construction, the long-awaited MRT (Mass Rapid Transit) Sungai Buloh-Kajang Line was finally fully operational on July 17 with the completion of phase 2 from Semantan Station to Kajang Station. Phase 1 from Sungai Buloh to Semantan began operations on Dec 16, 2016. Stretching 51km, the first MRT line in the country consists of 31 stations, of which seven are underground while the remaining 21 are elevated. Each train has a capacity of 1,200 passengers. The daily ridership is estimated to be about 400,000 passengers. Areas that are now served by the MRT can expect to benefit from their improved connectivity and accessibility including higher demand for properties in these areas. Owning a home remains an elusive dream for many because of the hefty upfront payments. To help make owning a home easier, Maybank Islamic Bhd launched the first-of-its-kind rent-to-own scheme by a bank. The pilot scheme was launched on Nov 24. Known as HouzKEY, the scheme is an alternative method of property purchasing and home financing by way of lease arrangement based on the Islamic concept of ijarah (lease). Setia Bhd, Eco World Development Group Bhd, Mah Sing Group Bhd, Sime Darby Property Bhd and Gamuda Land — to offer homes in Kuala Lumpur and Selangor. Properties available under this scheme will be listed on the HouzKEY portal. A customer can select a suitable property and make an application as well as submit the necessary documents online. A response will be given by the bank within one working day and the applicant then has 7 days to sign a lease agreement for the property. 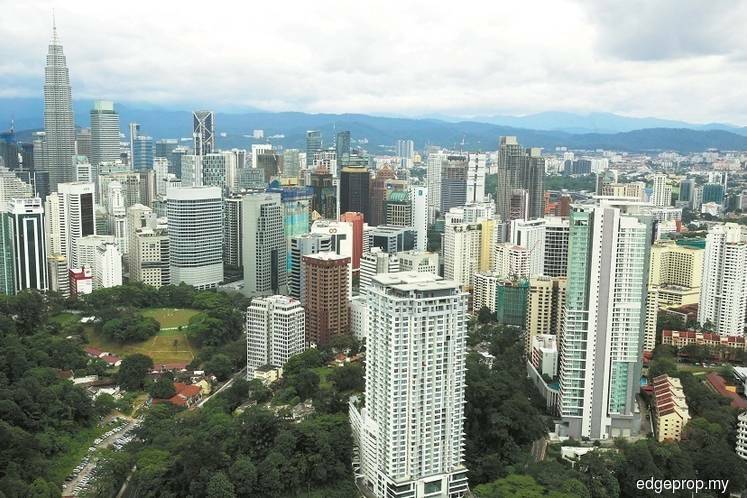 In November, Bank Negara Malaysia (BNM) warned that the residential property glut was at the highest level in a decade, recording 130,690 units as of 1Q17, adding that the supply-demand imbalance in the property market has increased since 2015. This is close to double the historical average of 72,239 units per year between 2004 and 2016. It pointed out that 83% of the unsold residential units were in the above-RM250,000 price category, and 61% of them were high-rise apartments. There were also high office vacancy rates, especially in the Klang Valley. BNM’s report showed that the incoming supply of 38 million sq ft of office space could exacerbate the glut, and the office vacancy rate in the Klang Valley is projected to reach an all-time high of 32% by 2021, far surpassing levels recorded during the Asian Financial Crisis. Similarly, in the retail mall segment, it is expected that 140 new malls will enter the market across key areas such as the Klang Valley, Penang and Johor, which could worsen the oversupply in the coming period. Following BNM’s highlight on the number of unsold residential properties in the country and the glut in mall and office space, the Cabinet decided to freeze approvals for the development of shopping complexes, offices, serviced apartments and luxury condominiums priced over RM1 million from Nov 1. It was initially thought to be only applicable to Kuala Lumpur, but was later clarified — albeit after some confusion — that it is a nationwide policy. However, there could be exceptions on a case-by-case basis as Finance Minister II Datuk Seri Johari Abdul Ghani said developers can still submit their project proposals for consideration and the project may be approved if it is justified. The policy will be in place for an indefinite period depending on the state of the property market. During the tabling of Budget 2017 in October 2016, the government had proposed to increase the stamp duty on instruments of transfer for properties worth over RM1 million, from 3% to 4% effective Jan 1, 2018. However, in less than two weeks before the new year, the government announced that it will not go ahead with the proposal and the current stamp duty rates will be maintained. No reason was given for the ditched plan. That seems like an appropriate move on the heels of the decision to freeze development approvals for high-end high-rise residences of above RM1 million. Rather than coming up with measures against the slowdown, the focus of Budget 2018 that was tabled in October this year was trained on raising the ability of the low- to middle-income group to own homes. Some of the main Budget announcements include the extension of the step-up financing scheme, introduced by PR1MA, to private developers and a tax exemption of 50% for residential property rental income up to RM2,000 a month. Eco World International Bhd (EWI) has signed an agreement in early December with UK-based developer Be Living Holdings Ltd, which is the development arm of UK contractor and developer Willmott Dixon Holdings Ltd, to jointly develop 12 sites in the UK with an estimated GDV of £2.6 billion (approximately RM14 billion). In the terms, EWI will acquire a 70% stake with plans to jointly develop the 12 sites in Greater London and the southeast of England over two stages. EWI said the proposed joint venture is a game-changer because the group’s development presence in the UK will potentially increase by fourfold, with about 8,200 units to be added to its existing portfolio. S P Setia Bhd first proposed the acquisition of I&P Group Sdn Bhd for RM3.65 billion from Permodalan Nasional Bhd in April and the deal was finalised by December. With this merger, the group will almost double the size of its landbank and fast-track its expansion plans. The purchase consideration was arrived at on a willing buyer, willing seller basis after taking into consideration I&P’s adjusted unaudited consolidated net assets of RM6.01 billion. Hence, the purchase price is at a 39% discount to the adjusted unaudited net asset value of I&P. I&P has 4,276 acres in landbank, which when combined with S P Setia’s landbank would total 9,417 acres, making S P Setia the third-largest property developer in Malaysia by such a measure.